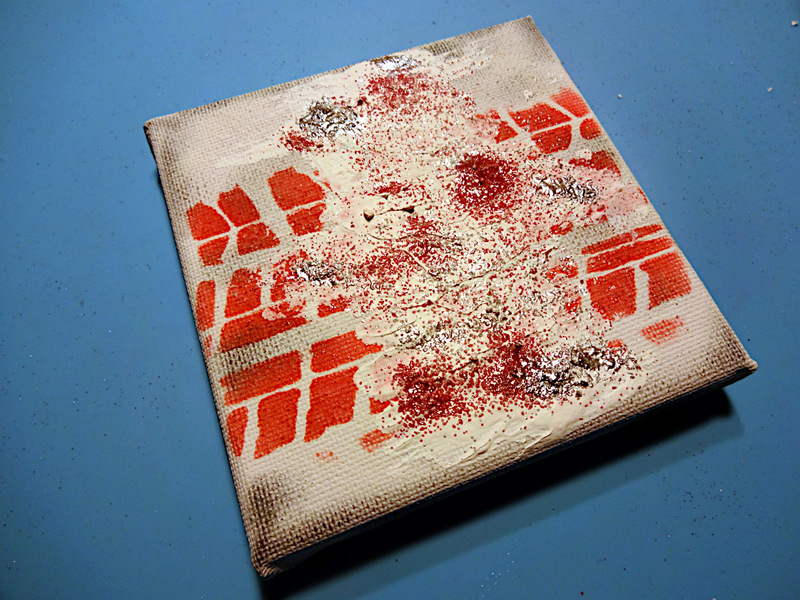 Make an all year gift to show your love to someone with a little piece that can be placed everywhere and decorate from a wall to a desk. 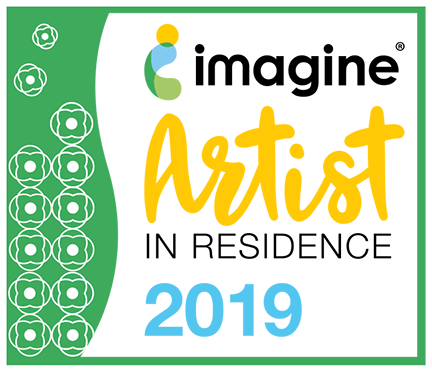 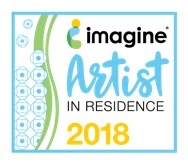 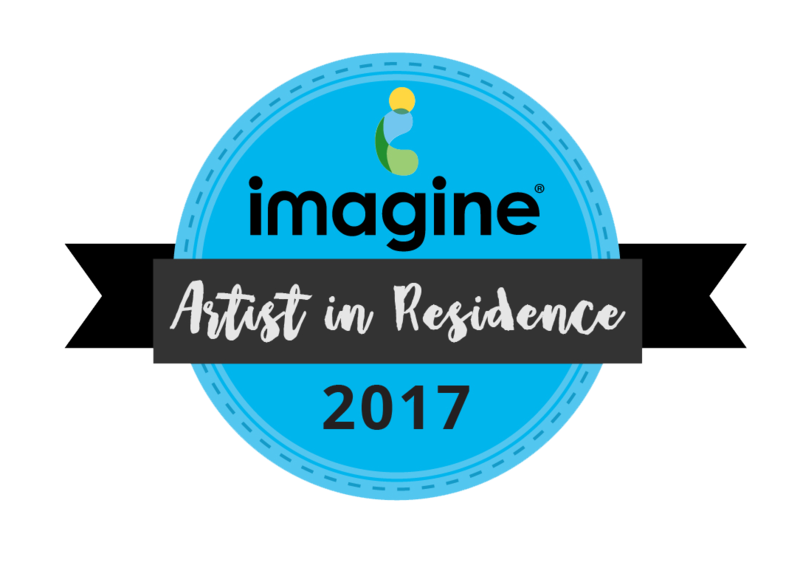 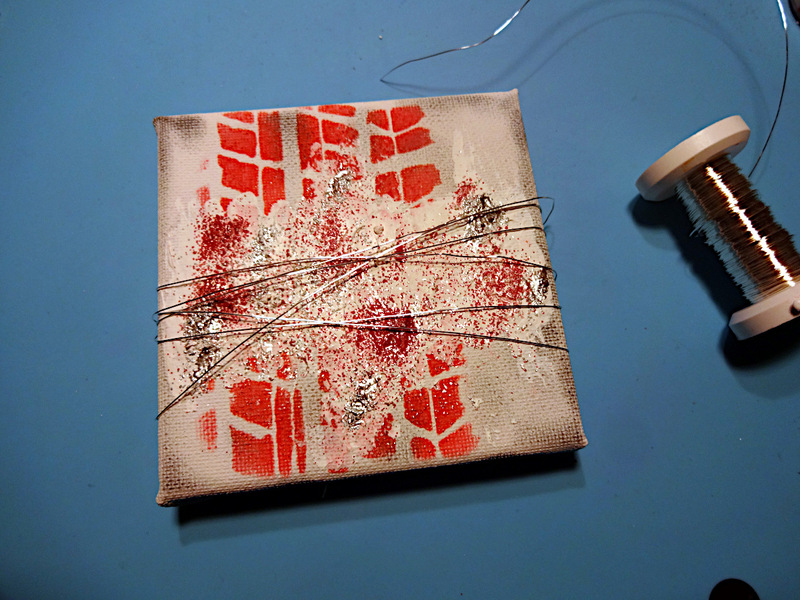 Place the stencil on the stretched canvas and with a sponge dauber colour with Memento Rhubarb Stalk ink pad covering about the half middle of the canvas surface. 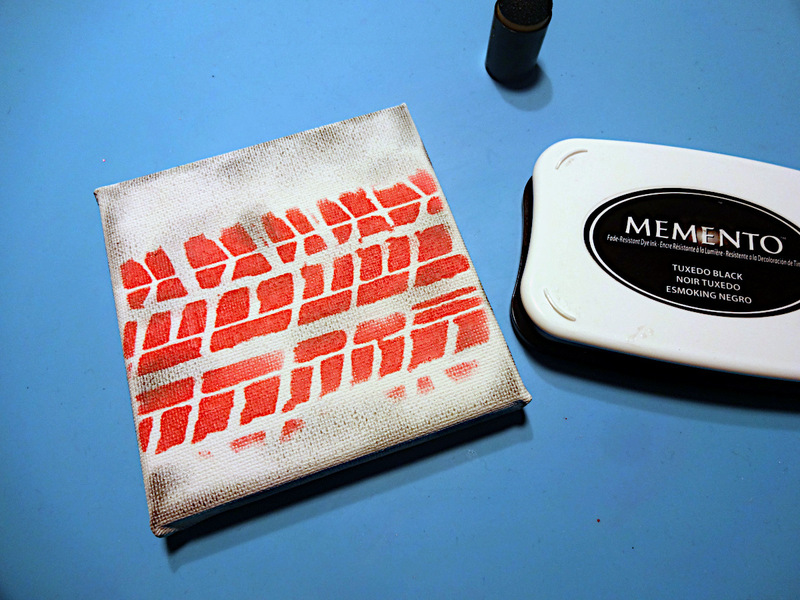 Distress the rest white areas with the Tuxedo Black Memento ink pad. 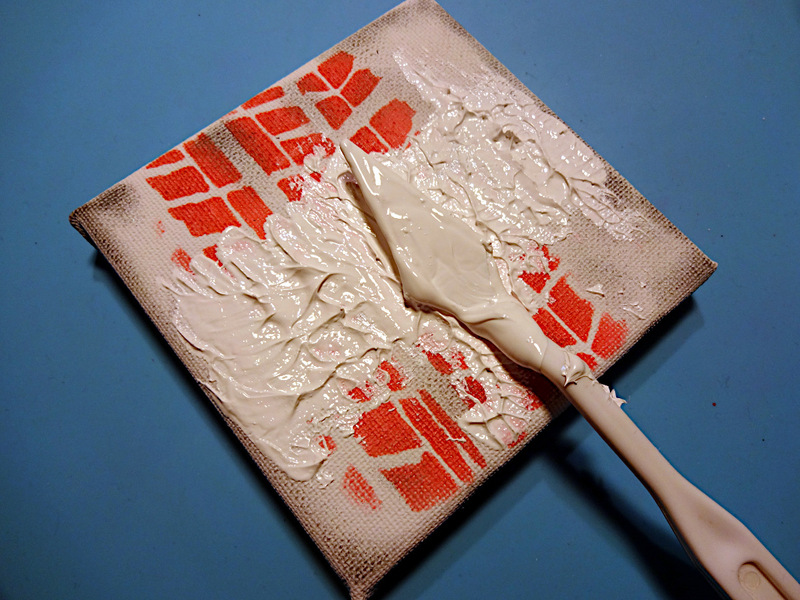 Lay modelling paste with a pallet knife on a cross way to the opposite stenciled surface making strokes by moving up and down the pallet knife on the paste. 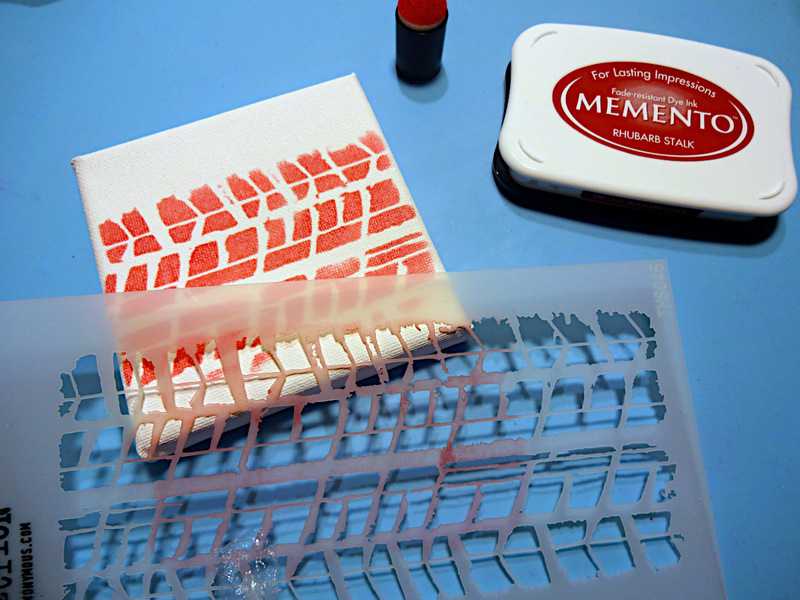 Sprinkle spots of the paste with red and silver embossing powder and heat set. 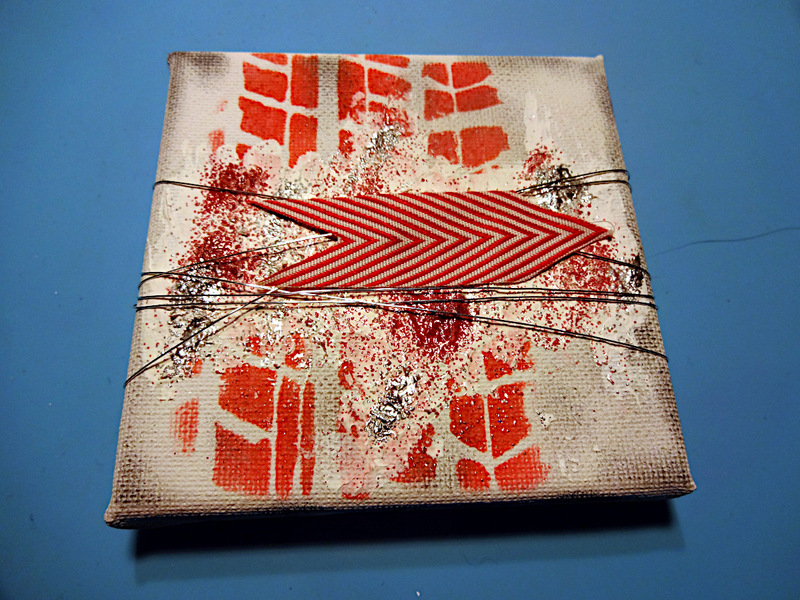 Wrap around the canvas jewelry wire in the aiming the center and secure at the back by twisting the two wire edges. 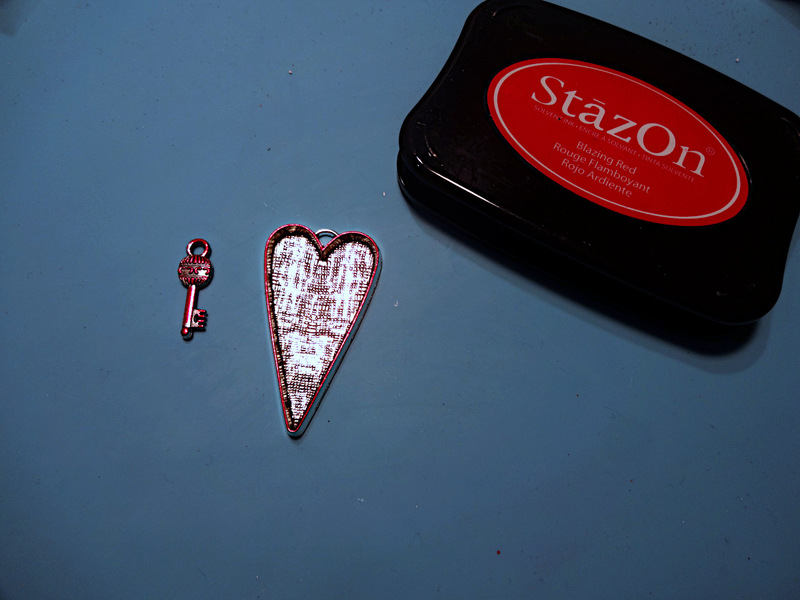 Press the metallic heart and the metal silver tone pen nib on the StazOn Blazing Red ink pad, allow few seconds to dry and repeat. 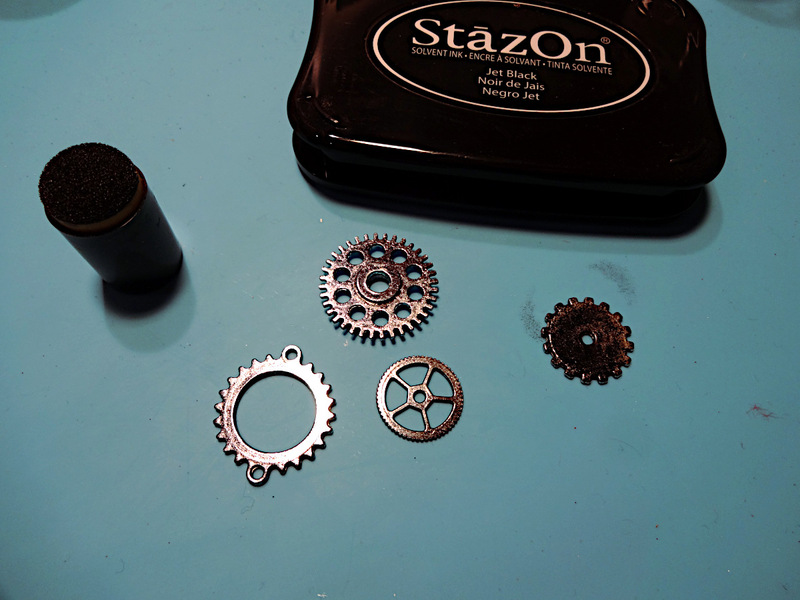 Use a sponge dauber to colour the gears with the StazOn Jet black, decreasing the shine and reflection of the silver tone surface of them. 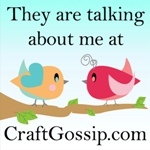 Cut a small piece of the May Arts chevron ribbon and glue it on the middle center of the canvas. 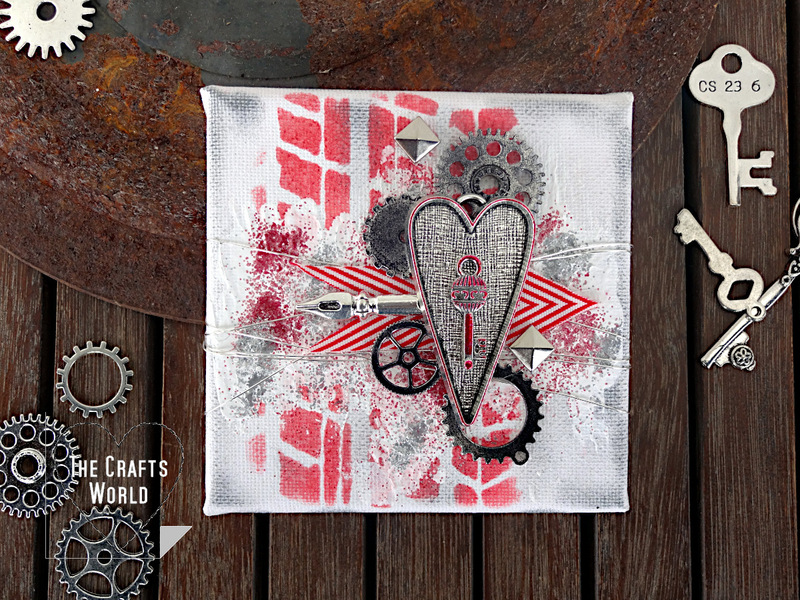 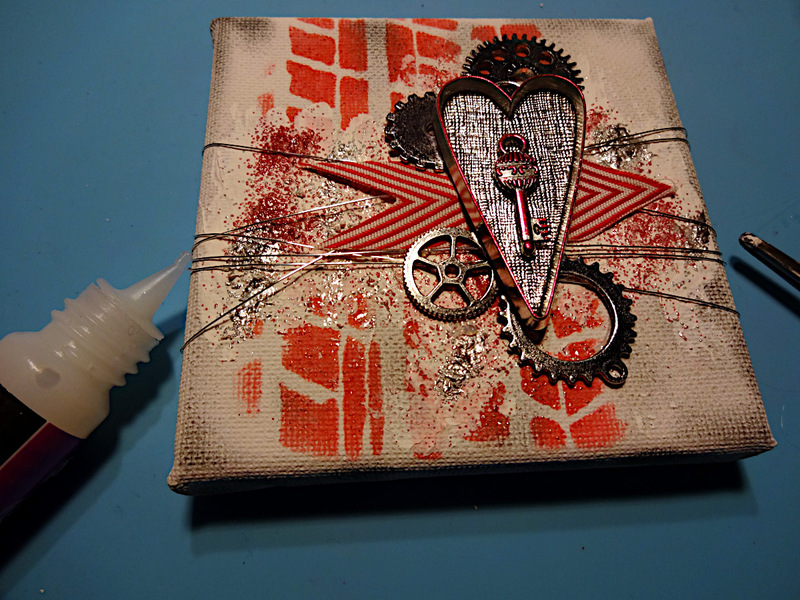 Continue with the gears, then the heart and the rest of the details using the Viva Jewellery Glue.